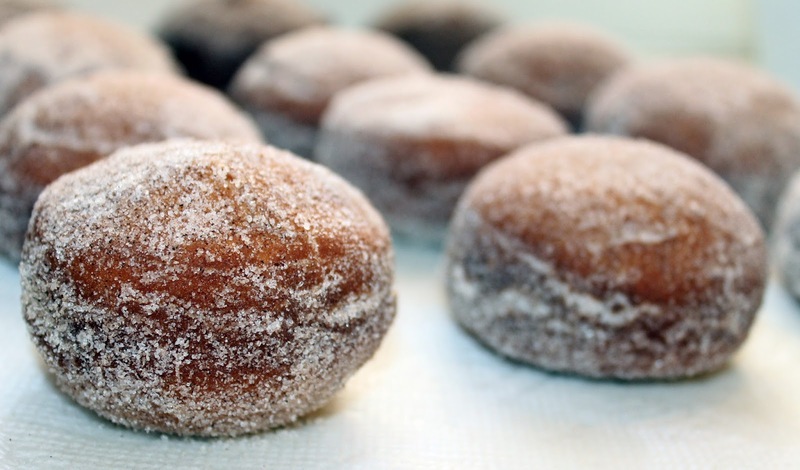 Fasnachts are yeast doughnuts of German descent that bear the same name as the traditional pre-Lenten celebration, which translates as "fast night." 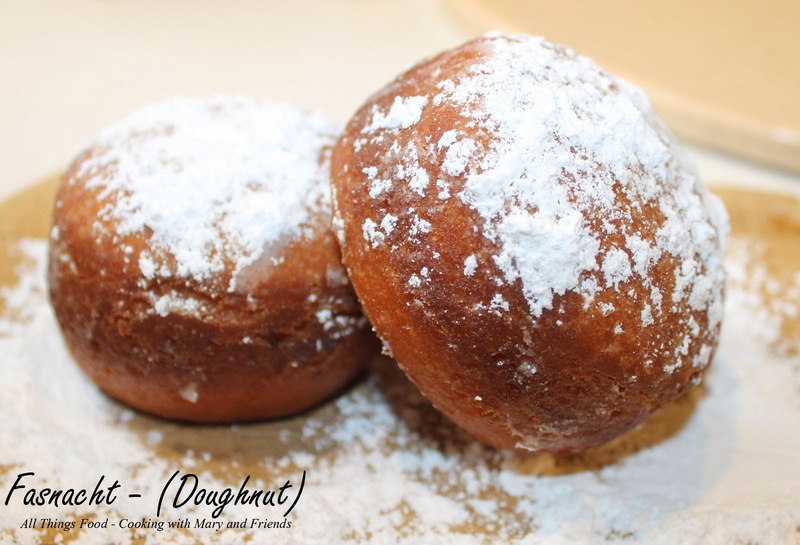 They typically have no hole or filling and are dusted with powdered sugar or cinnamon sugar. 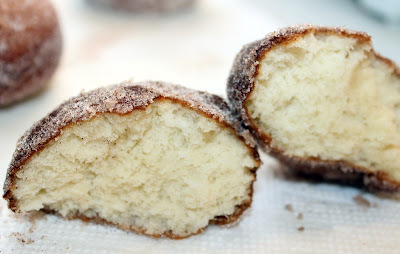 In a medium bowl, sprinkle the yeast over the warm milk, add a pinch of sugar and whisk together. Set aside in a warm place to rise, 5 to 10 minutes. In a large bowl or in the bowl of a stand mixer fitted with the dough hook, combine flour, mashed potatoes, 1/2 cup sugar and salt. 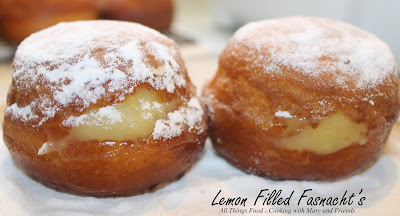 Add the yeast mixture, butter and beaten egg. Mix together until combined. 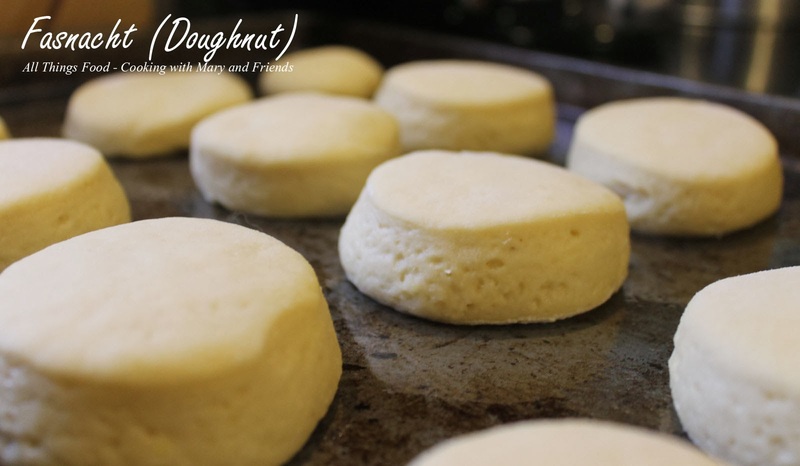 Turn the dough out on a floured surface and knead until the dough is elastic and not sticky, about 3 to 4 minutes. Roll out dough about 1/2-inch thick and cut into squares (I used a round biscuit cutter, though squares are traditional). 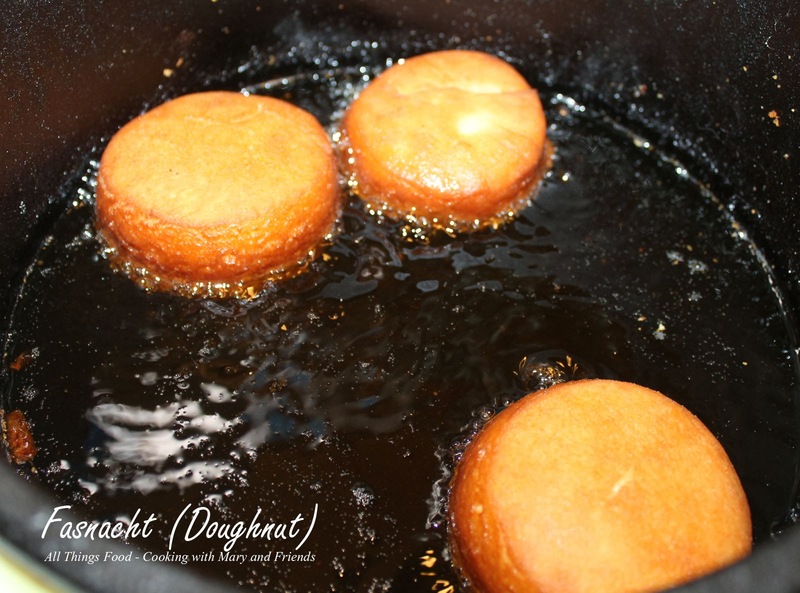 Place the cut doughnuts on a floured cookie sheet, cover with a cloth, and let rise 30 to 40 minutes. Meanwhile, in a deep, heavy saucepan with high sides, pour oil about 3 inches deep. Bring to 360-375 degrees F over medium heat. 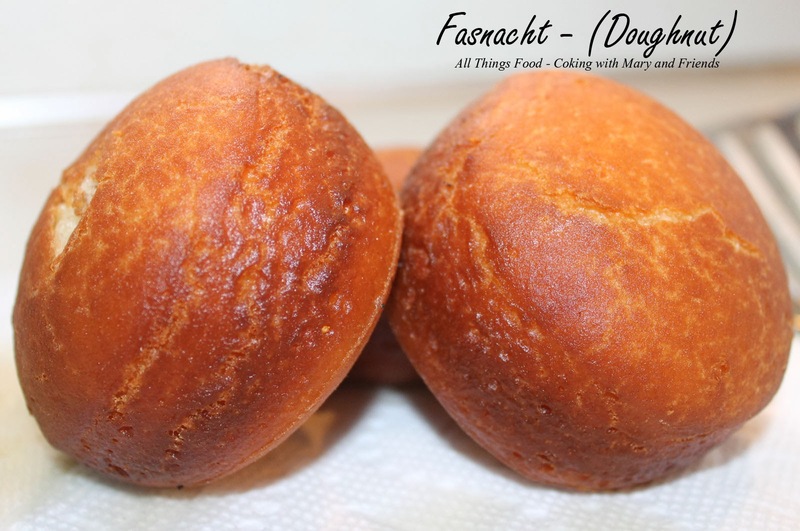 Working in batches, fry fasnacht until puffed and golden brown, about 2 minutes on each side. Transfer to a paper towel-lined plate and let cool. If filling with lemon or other fruit jam, use a kitchen knife to cut an opening in the fasnacht and stuff with a spoonful or two of filling. Once cool, dust with powdered sugar or cinnamon sugar and serve warm.